Just don't leave with me in your eyes. We've never been out here before. don't leave with me in your eyes. 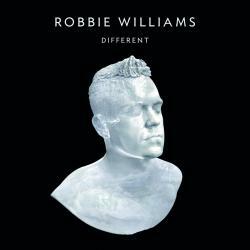 DIFFERENT es una canción de Robbie Williams del año 2012. La letra ha sido escrita por GARY BARLOW, GARRETT LEE, ROBERT PETER WILLIAMS; publicada por Kobalt Music Publishing Ltd., Sony/ATV Music Publishing LLC, Warner/Chappell Music, Inc., BMG Rights Management.